APG Engineering is a full service engineering group focused on the design and construction of Mechanical, Electrical, Plumbing, Fire Protection, and Telecommunications systems. Started in 1991, the group is committed to providing innovative designs based on time tested engineering principles while incorporating contemporary concepts and modern construction methods. Priding itself on being collaborative, the group actively seeks out to communicate with other team members to ensure the best possible product is delivered. Offering full service engineering of Mechanical, Electrical, Plumbing, Fire Protection, and Technology systems, our highly qualified team of professional engineers and designers is ready to help make your project a reality. 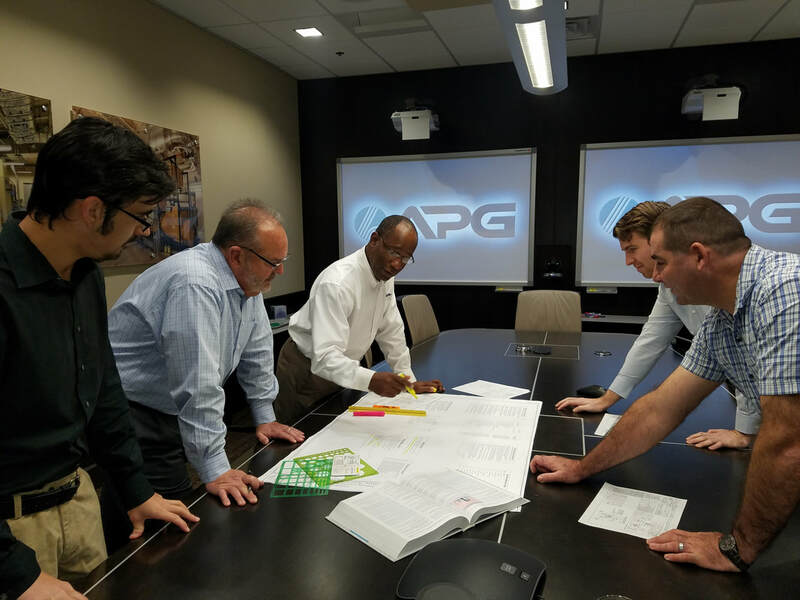 Using the latest 3-D modeling technology and collaborative processes, APG Engineering provides design and construction support to help make projects come to life smoother than ever before.